Each year, natural disasters threaten the strength and stability of communities worldwide. Yet responses to the challenges of recovery vary greatly and in ways that aren’t explained by the magnitude of the catastrophe or the amount of aid provided by national governments or the international community. The difference between resilience and disrepair, as Daniel P. Aldrich shows, lies in the depth of communities’ social capital. Building Resilience highlights the critical role of social capital in the ability of a community to withstand disaster and rebuild both the infrastructure and the ties that are at the foundation of any community. Aldrich examines the post-disaster responses of four distinct communities—Tokyo following the 1923 earthquake, Kobe after the 1995 earthquake, Tamil Nadu after the 2004 Indian Ocean Tsunami, and New Orleans post-Katrina—and finds that those with robust social networks were better able to coordinate recovery. In addition to quickly disseminating information and financial and physical assistance, communities with an abundance of social capital were able to minimize the migration of people and valuable resources out of the area. With governments increasingly overstretched and natural disasters likely to increase in frequency and intensity, a thorough understanding of what contributes to efficient reconstruction is more important than ever. Building Resilience underscores a critical component of an effective response. "Building Resilience is a well-written, valuable, and highly relevant contribution to the debates surrounding social capital. It focuses on events that have almost literally rocked the world in recent times and provides thought-provoking ideas for how we might better prepare societies for such events and for their aftermaths. Throwing money at the problem may be a start but it is not enough. Social cohesion has a value that must be preserved by more considered and targeted kinds of assistance." 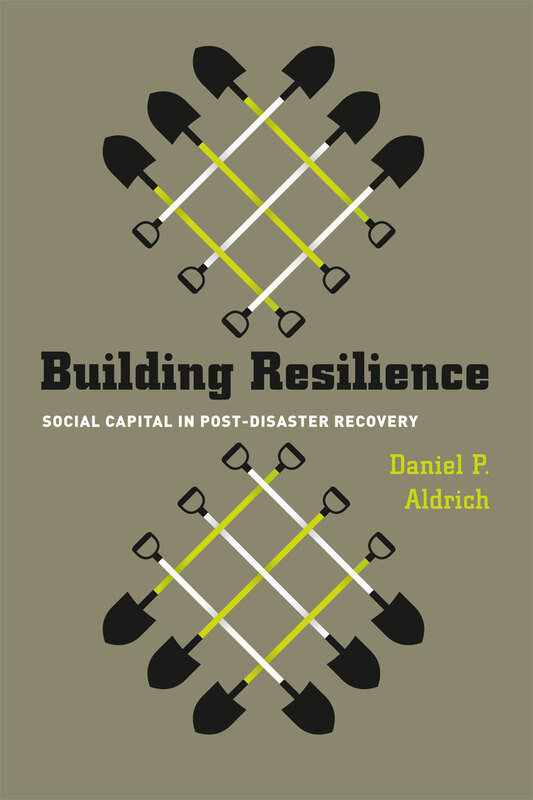 "Daniel P. Aldrich has written a fascinating book on an important topic: the importance of social capital for disaster recovery. . . . Highly recommended."